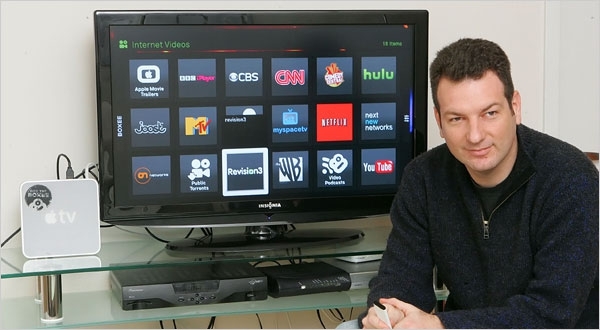 Boxee CEO Avner Ronen says that all games in the future will be played in the cloud. In an interview with Jason Calacanis for This Week in Startups, the head of the NYC-based maker of technology that turns your TV screen into an Internet web video system asserted that today’s game platforms will soon be a thing of the past (link here, comment appears around the 20 minute mark). No more wires connecting multiple boxes to your TV, just controllers and what might be called G.O.D.-Games on Demand controlled by one box and a big (Boxee) interface in the cloud. While I would love to surf for games the way I surf for shows, I think Ronen may have jumped the gun a bit and is talking his own book (what entrepreneur doesn’t?). We have several more revolutions before all of the pieces are ready for a cloud-based gaming platform that integrates broadcast video, DVR, HD game graphics, sound effects, and multiple players on a fully hosted basis. What do you think, are Sony, Microsoft and Nintendo about to lose their gateway into the home at the expense of Comcast? Or should Comcast be looking to acquire a hardware company once it swallows NBC?